Kraftform handle incorporates impact insert that transmits the blow to blade & tip. Set contains: SL 7 x 125mm, SL 5.5 x 100mm, SL 4.5 x 90mm, SL 3.5 x 80mm, PZ 1 x 80mm, PZ 2 x 100mm. 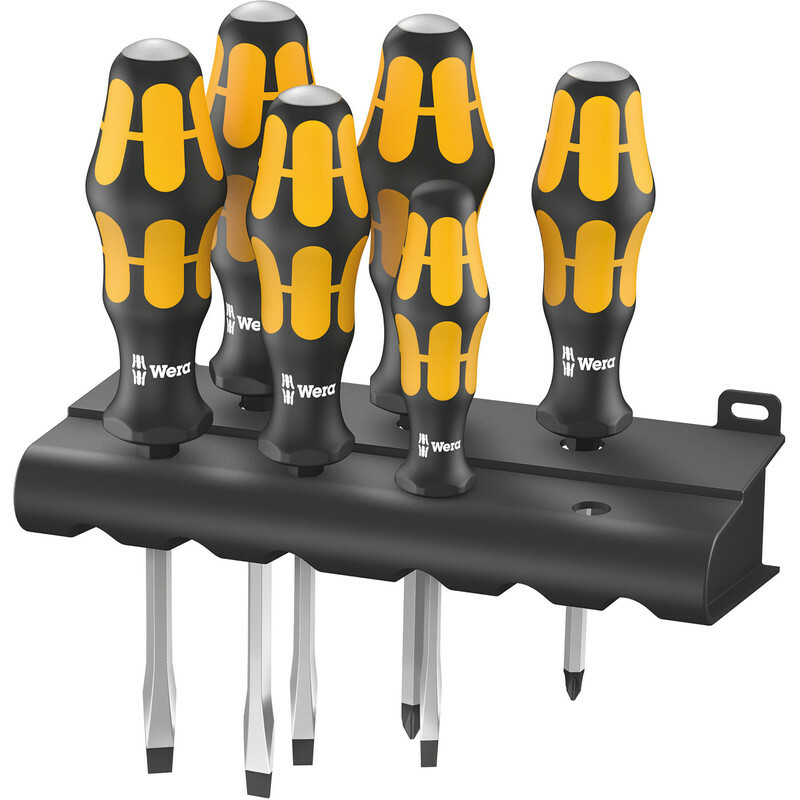 Wera Chiseldriver Screwdriver PZ / SL (6 Piece) is rated 5.0 out of 5 by 1. Rated 5 out of 5 by Rowland from Tough little cookies Best things I have bought for a long time. The fact that you can hit the screwdrivers with a hammer to make your point or apply a spanner to the nut below the handle to get more torque are ideal for a very amateurish DIY wally like me. Might buy some larger ones if they do them.